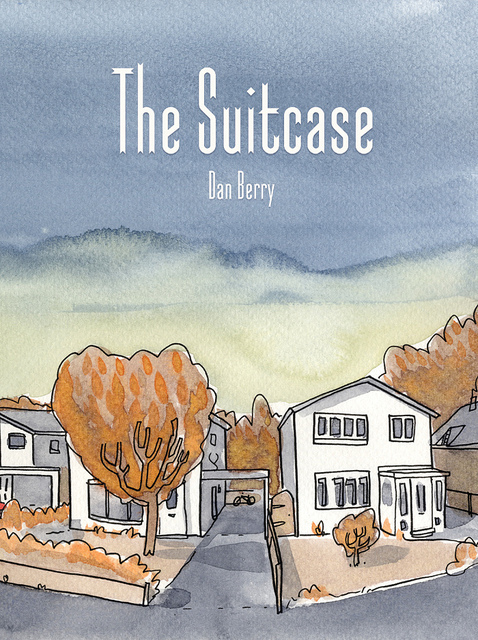 A comics lecturer and creator, Dan Berry both writes and draws his own work — such as the forthcoming The Suitcase from Blank Slate Books. But on top of that, he’s also launched a podcast fairly recently, in which he sits down with a number of writers, artists, creators, in order to talk about creation, process, and publishing. Make It Then Tell Everybody is the name of the show, and it’s quickly become one of the must-listen comics podcasts available. Informative, fascinating and warm, it also has some belting pastoral theme music. I had to speak to him about it. Luckily Dan was more than happy to talk about the podcast, how it’s developed, and how it’s slowly been spreading out within the comics community to become one of the most interesting and charming interview shows available online. You can find the podcast over on Dan’s website, and I highly recommend you do so – he’s an able and smart host, interviewing creators like Dustin Harbin, Kate Brown Marc Ellerby and Isabel Greenberg at length about their work. We also speak a little about his own work, and his other projects – how could we not? Steve: What motivated you to first start Make It Then Tell Everybody? Dan Berry: Lizz Lunney asked me to host some panel talks and help put together a small exhibition at the Birmingham Zine Festival in October 2012. We were interested in talking about how different artists approached their work and how they marketed themselves. The name Make It Then Tell Everybody seemed like the simplest way to describe what artists do and it stuck. In terms of motivation I’m not too sure. 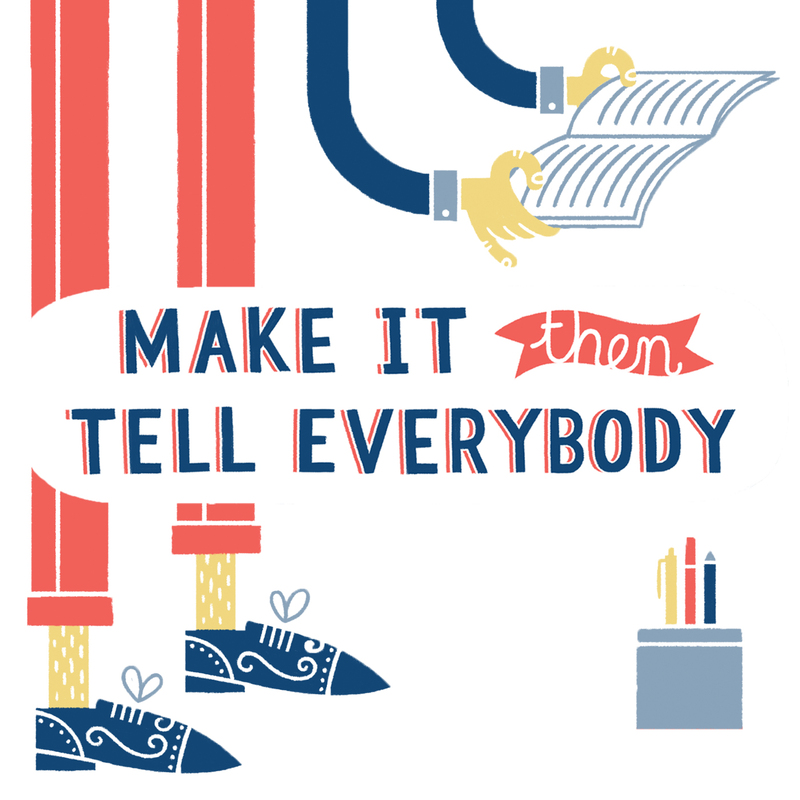 I’ve always been interested in talking to creative people about how they do what they do. I lecture in comics at the North Wales School of Art & Design so being inquisitive about creative processes is kind of second nature to me at this point. Having the opportunity to be able to talk in depth about stuff I find fascinating to some really talented and cool people is a real privilege. Steve: You’ve been interviewing comic creators for a while now, although it was only in 2012 that you started recording them for podcast. What made you decide to turn to podcasting, and how has the response been? Dan: I listen to a lot of podcasts. I listen while I’m driving and I listen while I’m working. I love that podcasts give you access to specialised radio shows that you can play to your own schedule. One of the many shows that made me think I could do one of my own was Marc Maron’s WTF podcast. He has a different tone and interview style to me, but I found it really fascinating hearing one creative person talk to another about how they do what they do. I’d been told I run a good interview, so I decided to go for it. The response has been overwhelmingly positive. The listenership is growing each week, but I’m trying not to gauge how well this is received by the number of downloads – which probably isn’t the best thing to measure this by – but I get a lot of emails of support and people donating to help pay for hosting and equipment and the like. Without this I’m sure I’d be making something that people would be fairly indifferent to, but I think it shows that people seem to very much like and appreciate the show which is a huge morale boost for me! Steve: Your interviews tend to focus on the creation process inbetween publications, and how writers and artists keep motivated. Have you been surprised by any of the stories you’ve heard? Dan: I’m not sure I’ve been surprised by anything so far if I’m honest. From the outset, I wanted these interviews to be useful. So whether the listener is learning about Photoshop’s photomerge function or having their own artistic anxieties confirmed as perfectly normal by someone whose work they admire, I’m happiest when I can see a utility to what is being shared. Steve: At the same time, do you think, after interviewing several people, you start to see common links between successful creators? Do you think there’s a common formula for success alongside ‘work bloody hard’? Dan: Well bloody hard work is certainly a very good starting point! I don’t think it’s been specifically raised as a topic on the podcast, but I think that some of the things that unites many of the successful people I’ve spoken to is that they know what they want to achieve. I think that hard work by itself is like a really fast car. You can shoot around at an incredible speed, but without a destination it’s just driving, not travelling. I think there’s a difference between comics and illustration and just drawing. I think that successful creators are by and large people who had an idea, worked bloody hard to achieve it through planning and skill hard won by hours upon hours of practice. Steve: As a writer/artist yourself, do you think people are more willing to open up to you in interviews, and really get into detail about their day-to-day work? Dan: I don’t know. Maybe? I’m not sure I’ve got anything to compare it to! I’ve always found it easy to talk to people. With Make It Then Tell Everybody I don’t write out a list of questions beforehand. I’ve done interviews before where I had written down questions, and it meant I wasn’t really listening, just waiting for them to stop talking so I could ask the next question. That’s bad interviewing which presupposes what you want to find out already. It kills spontaneity and serendipity. Not writing stuff down means I have to listen and respond, and I can only respond with what I’ve got. I guess that what I’ve got is a lot of context for how I work and what I know about comics and illustration. I’m not sure that makes people more willing to open up to me though. I try to be a nice guy. Maybe that helps? Steve: The ‘make’ is one thing, but ‘tell everybody’ can be just as difficult. 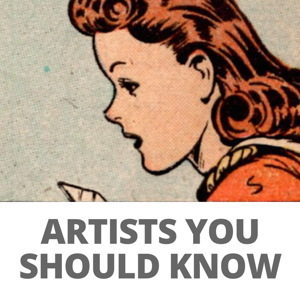 How hard can it be, as a creator, to make people aware of your work? Dan: It is very difficult. It is competitive out there. It isn’t simply a meritocracy – you not only have to be good, you have to be good at marketing yourself too. You could have the most beautiful work on the most usable and stunningly designed website ever uploaded, but if you don’t make every effort to send people to it, it is effectively invisible. It’s difficult. I’m not sure I have a better answer than that. Steve: There’s an interesting growing scene in British comics podcasting – where we have podcasts like House to Astonish, Decompressed, and several others. Do you think of MITTE as a way to promote and celebrate the British comics scene, and how it contrasts to American comics? Dan: Yes and no. Yes, I like to think it’s a way of introducing the British comics scene to a wider audience, but it’s not my main criteria for what I want to do with the podcast. I’m not as interested in examining a particular corner of the globe and contrast it with another as I am in talking to artists that I find personally interesting regardless of where they happen to live. 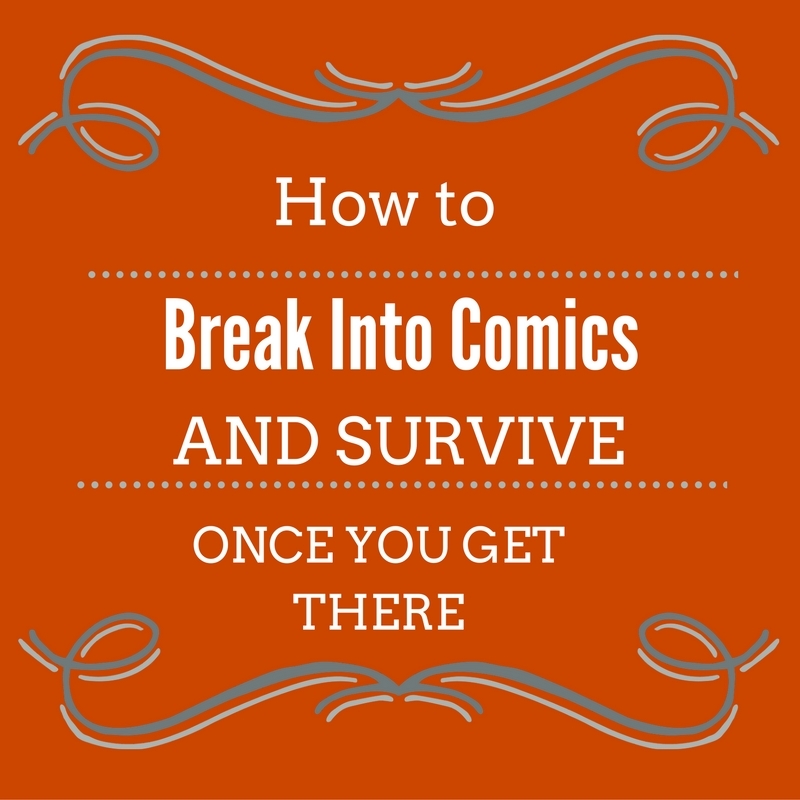 I think that the passion, skill and creativity to make comics aren’t geographic variables. Steve: MITTE starts with two group discussions, held during festivals. Do you plan to return to this live format in future at all for future conventions? Dan: Yes, absolutely. I can’t give details at this point but there are plans to do more live shows at festivals and hopefully some standalone events too. I’m trying to figure out the best way to do this at the moment. Stay tuned. Steve: How do you pick your interviewees? Are there any people on your wishlist for future interviews? Dan: I pick people I find interesting. I find it a bit weird that I’m asking people to trust my taste and judgement but it seems to be working so far. I was worried when I started that I’d run out of people to interview, but the list of people I’d like to talk to keeps growing. At the current rate it’d take a few years to talk to everyone and in that time I’m sure I’d add to the list. The short answer is yes, lots of people! Steve: As we’ve said, you do make your own comics – would you like to tell us about them? Dan: Sure. I’ve got a new book out in a few weeks from Blank Slate Books called The Suitcase. It’s pretty much three urban legends tied together into a single story of dead animals and suburban mistrust. I loved drawing it. I’ve been self-publishing for a while. I’ve recently been called a veteran of the small press scene which seems weird to me. My most recent self-published titles are Cat Island which was a 24 hour comic I drew in Angouleme at the start of 2012; and After We Shot The Grizzly, which was based on the Handsome Family song of the same name. I most recently printed a book of shorter strips called Hey You! I also draw shorter strips for anthologies, most recently OffLife, a street press magazine. Those have been really fun to draw. For the most part the strips I’ve done for OffLife are odd semi-autobiographical flights of fancy. Steve: What do you have coming up in future? Dan: I’ve got a couple of larger projects in the pipes at the moment, but they are all in the early stages so I don’t want to say too much about them in case they don’t work out. Basically more comics. I really like drawing comics. I’ll be at a few festivals in the coming year and I’m teaching a week long comics course for the Arvon Foundation with Karrie Fransman and Posy Simmonds. That and more podcasting. Many thanks to Dan for his time! Make It Then Tell Everybody can be found on all the usual podcasting places like iTunes, as well as on the website. You can also find out more about his comics work on his personal website, and follow him on the Twitter.